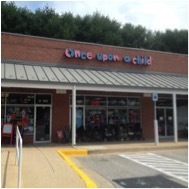 Successful Once Upon A Child Store for Sale in Ellicott City, MD. The business model - buying and selling gently used infant and kids toys, shoes, apparel and equipment - is proven to be successful. The Ellicott City location opened in 1995 and the sales and customer counts continue to grow. The new owner of this location will be grandfathered into a lower royalty rate which is a huge opportunity. Gross sales across 370 Once Upon A Child locations averages just under $1M so there's plenty of upside with this location! This store is located in an affluent community with huge amounts of inventory available. The shopping center has two anchor stores- Safeway and a Petco and a couple of other child related businesses. Landlord has revitalized the Enchanted Forest Shopping Center. New landscaping, new parking, attracted five new businesses in the last two years There is great brand awareness in the area with two locations 30-40 min away. We have a unique approach in the industry so we don't have a lot of competition in that regard. However, when larger box stores have 80-90% off sales it is more difficult for us to compete. Once Upon A Child, North America’s #1 children’s resale retailer, fills this need and is the solution for parents looking for high quality gently used children’s apparel, toys, shoes, baby equipment and accessories at affordable, family-friendly prices. Recently Once Upon A Child was ranked #129 in Entrepreneur Magazine's 40th annual Franchise 500. Once Upon A Child, North America’s #1 children’s resale retailer, is the solution for parents looking for high quality gently used children’s apparel, toys, shoes, baby equipment and accessories at affordable, family-friendly prices. Parents know just how fast children grow; what fits one day seems to be entirely too small the next. That's where we come in to help, to not only get your children into clothes that fit but also to find age-appropriate toys, books, furniture, and equipment. The best part? We offer these things at prices up to 70% off of retail. How? We buy and sell gently used kids' stuff - all seasons, every day! We pay on the spot for items accepted. To find out more about this Once Upon A Child franchise for Sale please fill in the form below and submit. Surprise - Arizona - $0 SOLD!